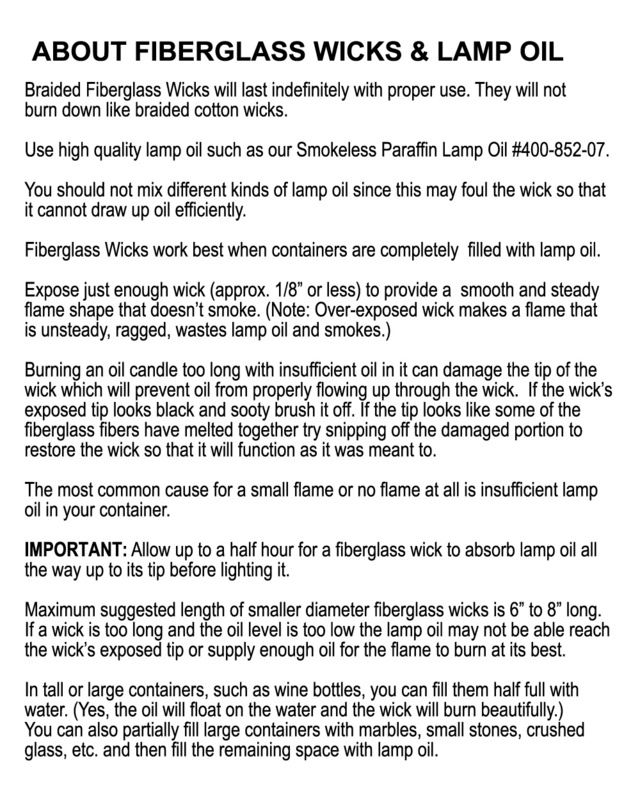 GLASS WICK HOLDER and INSERT has LARGER Woven Fiberglass Wick for Greater Flame and More Light. REPLACEMENT WICK is 391-034-05. Click on "Wicks for Glass Candles" below to order. bottom of page to view and buy. 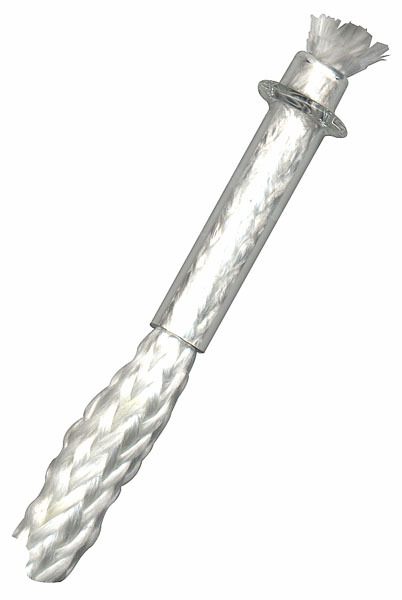 Long-lasting woven fiberglass Wick is 10"L. REPLACEMENT WICK is 391-033-06.